We've seen Chewbacca featured in other social media posts from the set by Howard and other members of the cast. 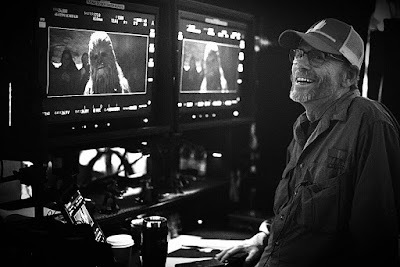 What makes this one interesting is the people behind our beloved wookiee? Who are they? What do they want? Are their friend or foe? We likely won't find out until the film hits theaters next year. Will it still come out on May 25th?